Visit RW&CO. 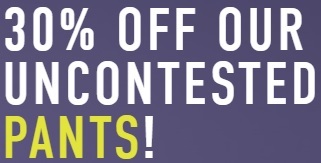 Canada online and save 30% off uncontested pants. Plus, selected T-Shirts, Polos & Shorts for $29.90. Official source of the information is RW&CO. Canada. Offer is time limited. For more details about the promotion visit RW&CO. Canada online. Sale is for brand: RW&Co.